Producing veal at Serval means producing veal: Born in France, bred in France, fed in France, slaughtered in France. 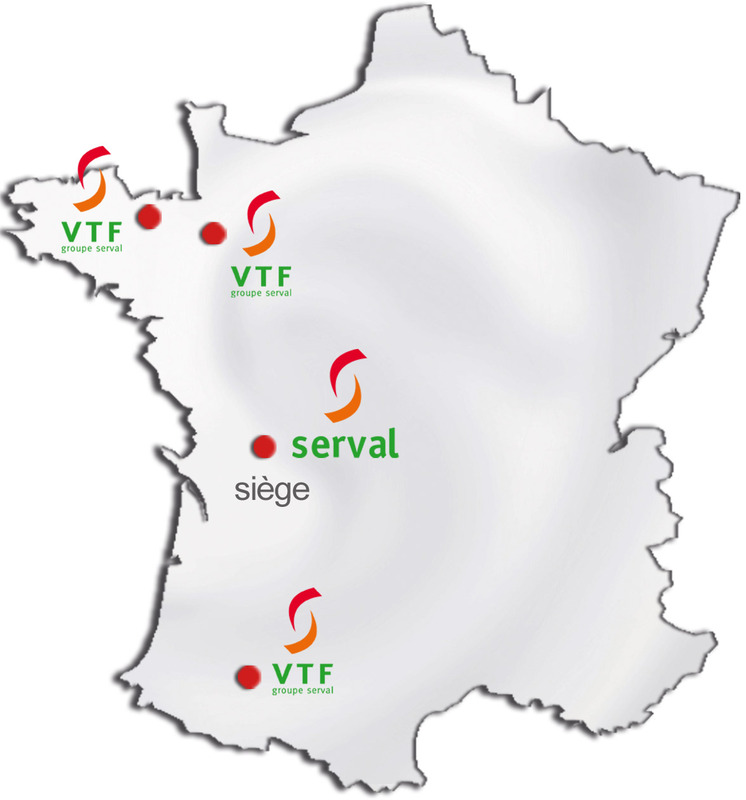 VTF is a national entity for calf production, based in Sainte-Eanne and organised into three regional centres: VTF Bretagne, VTF Ouest/Normandie and VTF Sud. VTF Bretagne brings together around fifty breeders based in the Britanny region, whose main business is the production and sale of veal calves. VTF Ouest primarily handles the production of Holstein calves in Normandy, the Loire Valley and Central France. VTF Ouest is also developing whole-milk calf production across the Normandy region, with appropriate certification. VTF Sud produces Crossbreed and Holstein calves, supplying clients (slaughterers) across South-West France.